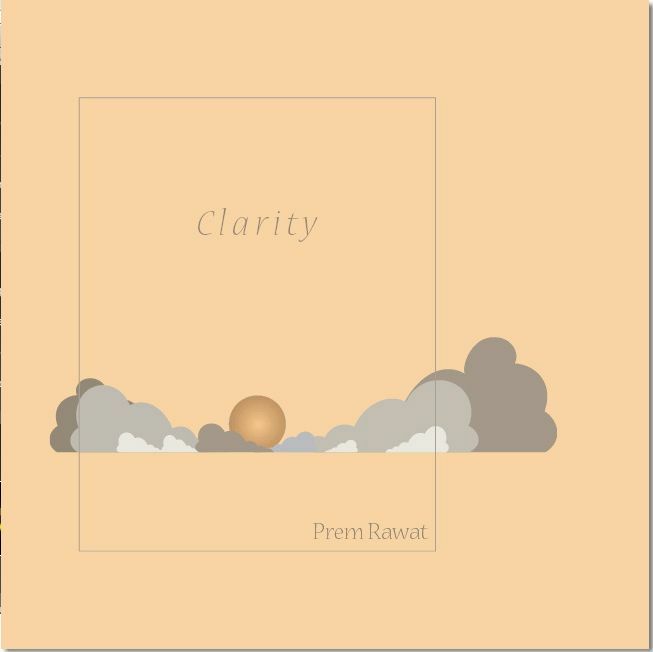 This excerpt from Prem Rawat's 2005 book Clarity consists of short sections of his speeches formatted to look like poetry rather than prose. It contains many phrases pretending to be aphorisms but falling short as they fail the "truth test." Life is not about formulas: Yet Rawat has a formula, he claims it is the only formula for happiness - for an hour a day, 15 minutes a time: poke your fingers onto your eyelids and look, push your thumbs into your ears and listen, think about your breathing and turn your tongue backwards and upwards past your uvula if possible, yes really! Life is what we are all about. Life is about joy and beauty. Life is the song that plays through this breath. It is the call that is buried in each and every heart. It is the light that shines within us. but that is not necessarily so. and a distinct domain of questions. it is more intriguing to be filled with questions. it is more intriguing to be filled with answers. Generations come and generations go. and so do the answers. What we am looking for is within us. The answer to the need we have always felt has always been inside. If we are looking for peace, the place to look for it is within. What I say comes from my heart. it is engraved in our heart. that we find ourselves caught up in. What I offer is Knowledge. and experience the beauty that is already there. The experience of Knowledge is the core of who we are. This is where my message is dramatically different. I can show people the place inside where joy resides. It does not matter what you call it. Call it simple. Simple is best. I have been focused on presenting this possibility to people. Knowledge provides answers that may not come from questions. That is what it unique. It cannot be bought or sold. People ask why Knowledge is free. It is free because it is priceless. No price could ever be put on it. realize that this is true. not curiosity: "Let me see what this is." Knowledge will not make sense. that thirst to be fulfilled. "Yes, I am thirsty; yes, I want to quench Inv t hirst." And then someone to constantly make it a living experience. I am there to provide inspiration and guidance. and enjoy the process of discovery. There is a great joy within us. we can shine and be fulfilled. But it's not just a lot of words. 700 years ago for a person who is hungry now? There is Knowledge—this possibility is now. And that's what makes it real. but it reality that is amazing. a river of kindness, a river of grace. We have the gift to be able to feel tranquility. Who better to feel it than us? It is a gift even to feel that possibility in our lives. We can disoover the joy, the excitement of being alive. to proceed on this journey. We just need to open the door. they are opposite in nature. these two have come as close as they can come. Life is not about struggle. we have been given the day. My parents named me Prem Rawat. Since then, many people have given me many names. those who came to listen to me called me Maharaji. affectionately expressing respect and appreciation. peace I can bring through what I offer.